It wasn’t a blowout last night at the Barclays Center when the Brooklyn Nets lost 115-105 to the Toronto Raptors, the second-best team in the NBA Eastern Conference. Some say a loss is a loss no matter what the point spread is. But, in this case, when you’re fighting to clinch a spot in the playoffs, a loss can be more than a loss. With the loss, the Nets fell to 39-40 overall and 22-18 at the Barclays Center, while the Raptors improved to 56-23 overall and 25-14 on the road with the win. But, moreover, the musical chairs of who’s in the NBA playoff seeding and who isn’t shifted last night and is likely to be a game of musical chairs over the remaining week. The Nets are still in the seventh spot, but the Miami Heat's loss to the Boston Celtics put the Orlando Magic in the eighth spot, while Miami fell to the ninth position. So, what happened to the Nets last night. Toronto is the better team, hence the reason they are in the second position in the Eastern Conference. The Milwaukee Bucks are a better team, hence the reason, it is first in the Eastern Conference. Meanwhile, the Nets have no experience of turning it up in the final stretch of the regular season. And, they are traveling to play the Milwaukee Bucks on Saturday and then will travel to play the Indiana Pacers the very next day on Sunday. So, should we expect an upset in Milwaukee or in Indiana or both or two losses for the Nets? The best scenario for the Nets to make the playoffs is that since Miami is in the ninth position that Miami loses to Toronto on Sunday and Philadelphia on Tuesday and when Miami comes to Brooklyn on Wednesday, it would be too tired on the second game of a back-to-back to be victorious over Brooklyn. Of the three games on the Orlando Magic’s schedule, only the Boston Celtics are worrisome because the Magic could overtake Atlanta Hawks and the Charlotte Hornets. But, of course, anything could happen. The Nets really do have to turn it up because last night, the Brooklyn Nets lost to the Toronto Raptors despite shooting .477 (41-of-86) from the field and limiting Toronto to .419 (44-of-105) from the field. The Nets also edged the Raptors 60-48 in points in the paint. With the Toronto Raptors in the rearview mirror and as the Net face the Milwaukee Bucks on Saturday, a question was posed to Nets point guard D’Angelo Russell: What can the Nets do against Milwaukee’s Giannis Antetokounmpo on Saturday? Nets fans hear you, D’Angelo Russell, and they hope that you and the rest of the team can muster up a strategy and the energy to follow the strategy to prevail. The Brooklyn Nets will play its final game of the regular season on Wednesday, April 10, 2019, at home at the Barclays Center at 7:30 p.m. Hopefully, it won’t be the last game of the season and this team that has faced so many adversities this season gets a taste of what the NBA postseason is all about. Last night at the Barclays Center, the Brooklyn Nets met up with the Milwaukee Bucks, the best team in the NBA, by its 58-20 record; yes, the Bucks’ record is better than the Golden State Warriors’ record, which is 52-24. The bad news is that the Nets lost to the Bucks 131-121. The good news for the moment is that the Nets are still holding on to the seventh playoff spot in the NBA Eastern Conference (EC). The three other teams that are also jockeying for position for the NBA’s sixth through eighth playoff spots in the EC, the Detroit Pistons (#6), Miami Heat (#8), and the Orlando Magic (#9), also lost last night. The Brooklyn Nets, Detroit Pistons, Miami Heat, and the Orlando Magic all have at least two formidable teams to play between now and April 10, 2019, the last day of the NBA regular season. And, by formidable, these teams have already clinched the 1 through 5 NBA Eastern Conference playoff spots. NBA Eastern Conference spots 6 through 8 are up for grabs between four teams or five, depending on how you feel about the Charlotte Hornets because technically, right now, sitting at 35-42, mathematically, the Hornets are not out of contention. Teams that the Hornets have on their schedule right now are the New Orleans Pelicans (32-46) a Western Conference team, and then EC teams, the Toronto Raptors (55-23), Detroit Pistons (39-38), Cleveland Cavaliers (21-57) and the Orlando Magic (38-40). But, looking at the upcoming schedule for the teams that most people believe are in the race, Detroit has two strong teams to play, the Indiana Pacers and the Oklahoma City Thunder. On Miami’s schedule are the Boston Celtics, Toronto Raptors, and the Philadelphia 76ers. The Orlando Magic being in the ninth spot is currently on the outside looking in and seemingly has the easiest schedule. The Magic’s last three games are against the New York Knicks, Atlanta Hawks, and the Boston Celtics. Of this lot, only the Boston Celtics is a playoff team. However, that doesn’t mean that the Magic would only lose to the Boston Celtics. Not in the least, the Nets just beat the Celtics, who were without Kyrie Irving and Al Horford, on Saturday. These are all NBA teams and on any given night, there could be key players out, there could be an upset or the outcome could be predictable, which will make the next few days very exciting for some and not so exciting for others. 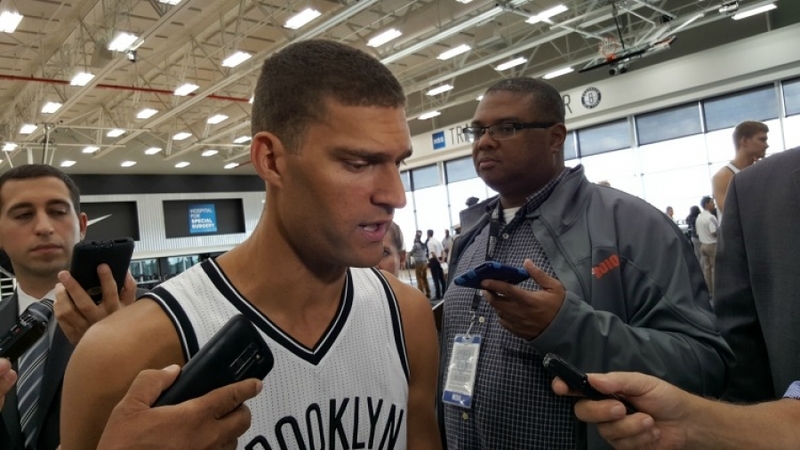 Focusing on the Nets, they have four more games on their schedule. 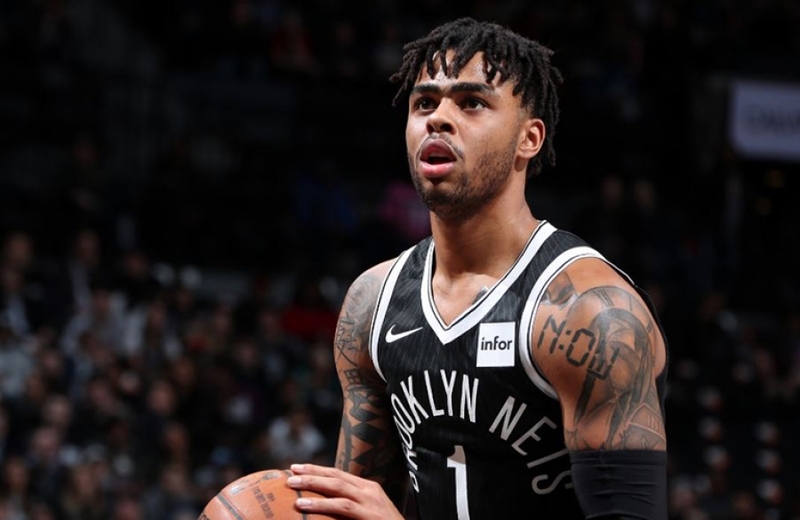 The Nets play the Toronto Raptors tomorrow at the Barclays Center, a back-to-back on the road on Saturday and Sunday, against the Milwaukee Bucks again, and the Indiana Pacers and then they come back home to play the Miami Heat on Wednesday, April 10, 2019, the last day of the regular season. Wednesday, April 10, could be the determining day between the Nets and the Miami Heat, as well as other teams. Or, it could be over before the Nets get home depending upon what they do from this point forward and what the other teams do. Clearly, this is not a good position to be in. And, as Brooklyn Nets guard Caris LeVert, who scored 24 points, four rebounds and six assists, assessed last night’s game against the Bucks, the Nets have to be focused and dialed in from start to finish if they truly want to secure a playoff spot. On the heels of a 135-130 win on Wednesday night over the Denver Nuggets, the team that happens to be the No.2 seed in the NBA’s Western Conference, the Brooklyn Nets managed to get shut down at home last night by the 12-42 Chicago Bulls, 125-106. Brooklyn allowed Chicago to shoot .541 from the field, .500 (14-of-28) from three-point land and was out-rebounded 50-33. The only metric that the Nets overpowered the Bulls on last night was bench points, 43-24. So, what was the big difference between last night and 10 days ago when the Nets played the Bulls? The Bulls traded Jabari Parker to the Washington Wizards for Otto Porter Jr. and in so doing, its starters have greater size over the Brooklyn Nets starting five. Both Lauri Markkanen and Robin Lopez are seven feet tall, the only Nets player close to seven feet tall is Jarrett Allen, who is in his second year in the NBA. Also, according to the NBA, Parker’s average points per game this season is seven and Porter’s PPG this season is 18. Averages for Chicago’s starting five with Jabari Parker was 66.2 and with Otto Porter Jr. is 77.2, which potentially is a big difference between Chicago on January 29, 2019, and last night. From an eyeball test, it was also Chicago’s aggressiveness and Brooklyn seemed to be missing a beat allowing the Chicago Bulls to shoot .541 from the field, .500 (14-of-28) from 3-point land and was out-rebounded 50-33. And, it’s obvious, if you can’t beat those numbers, you’re not going to win. And, Coach Atkinson said he tried everything. Unfortunately, the Nets’ overall performance spoiled Caris LeVert’s return to the lineup. LeVert missed the previous 42 games with a subtalar dislocation of his right foot, which he sustained playing the Minnesota Timberwolves on November 12, 2018. 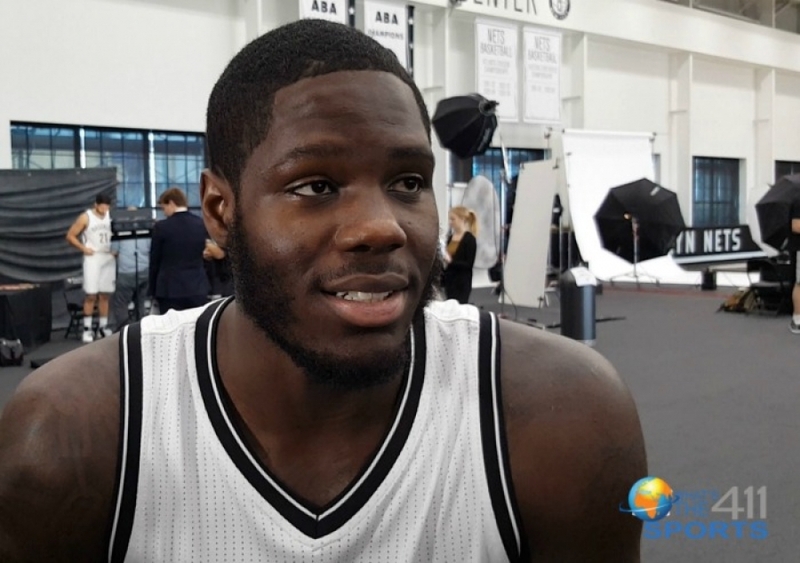 Coming off the bench, LeVert gave the Nets an instant boost, which is what he always does. LeVert registered a career-high-tying (and Nets season-high) five steals, to go along with his 11 points, four assists, and two rebounds in 15 minutes. Of course, when an athlete gets injured everyone is concerned about the return on a physical level. As for Coach Atkinson, LeVert’s return was the silver lining about last night’s game against the Bulls. D’Angelo Russell led the Nets’ with 23 points, six assists, and two steals; Joe Harris and Allen Crabbe each scored 19 points, and Harris added five assists to his total, and; Jarrett Allen chipped in 12 points and 10 rebounds. For the Bulls, Lauri Markkanen led all scorers with 31 points, 18 rebounds, and two blocked shots; Zach LaVine added 26 points, five assists, three rebounds, and two steals; Otto Porter Jr. accumulated 18 points and four rebounds; Kris Dunn tallied 14 points, nine assists, and five rebounds; Robin Lopez registered 12 points and five rebounds, and; Wayne Selden chipped in 11 points. The Bulls will play the Washington Wizards today, February 9, 2019, in the nation’s capital. Meanwhile, the Nets have two road games before the NBA All-Star break. The Nets will travel to Toronto to play the Toronto Raptors on Monday, February 11, 2019, and then the Cleveland Cavaliers on Wednesday, February 13, 2019. The next time the Brooklyn Nets will be at home is on Thursday, February 21, 2019, to play the Portland Trail Blazers at the Barclays Center at 7:30 p.m.
Is it too early to cue up the music, “Movin’ on Up,” the theme song from the 1970s – 1980s sitcom, The Jeffersons? Perhaps, but to Brooklyn Nets fans, it sure does feel good to be one game away from reaching the .500 mark and to still be in contention for an NBA playoff spot. NBA Playoff Watch: The Brooklyn Nets are now in the seventh spot in the NBA Eastern Conference (The Boston Celtics are currently in the fifth spot). We hear you, Jarrett Allen, but people who follow the Nets, are talking about it and not necessarily in hush tones because the upward trajectory of the Nets so far this season has taken many by surprise. Last night, the Nets defeated the Boston Celtics 109-102 at home at the Barclays Center and in so doing, the Nets improved to 22-23 overall and 12-11 at Barclays Center, while the Celtics fell to 25-18 overall and 10-13 on the road with this loss. The Nets have also won five straight home games, which is a big deal for the Nets since it is the first time since the 2014-15 season (March 27 – April 6, 2015) that the Nets have won five consecutive games at home more evidence that the Nets are turning a corner. This victory also snapped the Nets’ 10-game losing streak against the Celtics, which had marked the team’s longest active losing streak against any opponent. The last time Nets won a game against the Celtics it was three years ago on January 2, 2016, in Boston, for those of you who may be keeping score. Last night’s win was not without some bumps in the road. The Nets ended the third quarter with a 24-point lead (90-66) and that wasn’t the largest lead of the night. The Nets had a 27-point advantage over the Celtics at 9:33 in the fourth quarter on a Spencer Dinwiddie 26' 3-point pull-up shot, but over the course of the last stanza, the Nets lead started slipping eventually getting to only seven points at 1:28 on a Jaylen Brown driving finger roll layup. Over the course of the closing seconds, the Nets were up by nine, up by seven, up by nine, and eventually ending the game at 109-102. Of course, the media wanted to get Nets head coach Kenny Atkinson’s take on the Nets defensive breakdown in the fourth quarter. The Nets’ 22-year-old point guard, D’Angelo Russell, posted a game-high-tying 34 points (13-of-26 FG, 7-of-13 3FG, 1-of-2 FT) with five rebounds, a game-high seven assists, one steal and one block in 37 minutes. Russell scored 18 of his 34 points in the third quarter. Boston Celtics head coach Brad Stevens had his eye on Russell. Still feeling good about his accomplishment in last night’s game against the Celtics, Russell told the media what it took for him to go on his scoring roll in the third quarter. So, those of you who doubted D’Angelo Russell’s abilities and belief in himself, take note. Looking at other Nets starters who were scoring leaders last night, Rodions Kurucs, a Nets rookie who has surprised everyone with his skills, totaled 19 points, four rebounds, and two steals in 33 minutes. Jarrett Allen also recorded 19 points with 12 rebounds and four blocks in 33 minutes. Joe Harris tallied 13 points, eight rebounds, and three assists in 35 minutes. Coming off the bench for the Nets, DeMarre Carroll posted his second double-double of the season with 10 points and a career-high 14 rebounds in 33 minutes. For the Boston Celtics, Jayson Tatum had a game-high-tying 34 points, five rebounds, three assists, three blocked shots, and one steal. Jaylen Brown scored 22 points, six rebounds, and two steals. Brad Wanamaker, who came off the bench for Boston, chipped in 13 points, four assists, three rebounds, and two steals. Both teams are really going to have to put on their big boy pants tomorrow as they both face formidable teams. The Celtics square off against the Toronto Raptors at home at the Boston Garden. The Brooklyn Nets travel to Houston to play the Rockets, also tomorrow, and then on to Orlando to play the Magic on Friday, January 18, 2019. The Nets will then return home to play the Sacramento Kings on Monday, January 21, 2019, Martin Luther King, Jr. Day at 3:30 p.m. at the Barclays Center in Brooklyn. Last night was evidence that the Brooklyn Nets are working hard to turn a corner and a page on losing seasons of the recent past. Early on in last night’s game against the Atlanta Hawks, Brooklyn dug itself into an 18-point hole at the 38.3-second mark in the first quarter and minus 19 points with a score of Hawks 46 and Nets 27 at the 9:02 mark in the second quarter. But, by the end of the first half, the Nets whittled the Hawks lead to six at 57-51. 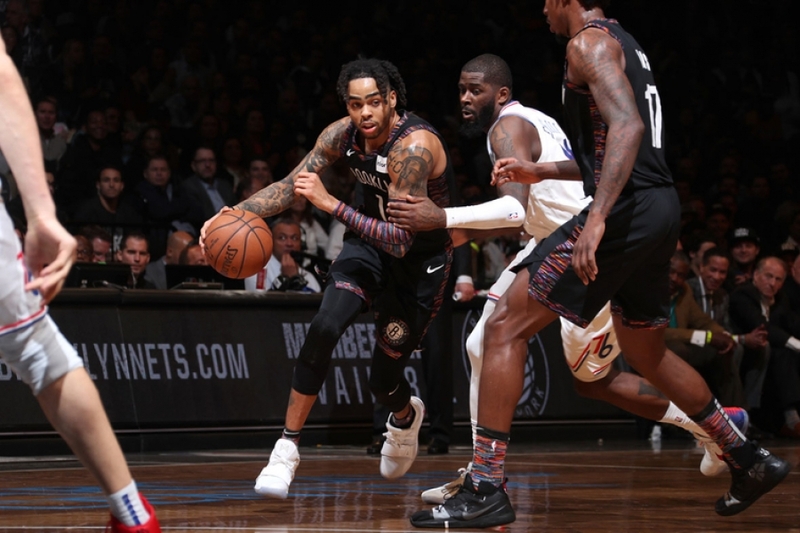 The reversal of fortunes for the Hawks occurred in the third quarter as the Nets ended the third stanza up by six points with the score 86-80. In the fourth is where the Nets kicked things into high gear leading by 20 points at the 2:38 mark on a Shabazz Napier running layup, and then ultimately defeating the Atlanta Hawks 116-100. With this win, the Nets improved to 21-22 overall and 11-11 at Barclays Center, while the Hawks fell to 12-29 overall and 5-19 on the road with the loss. The Nets are now 13-4 in their last 17 games, which marks their best 17-game stretch since the 2013-14 season when the Nets had a 13-4 stretch from March 9, 2014, through April 8, 2014. Wow, that seems like eons ago. But hold on to your hats ladies and gentlemen because right now, the Brooklyn Nets are now the sixth seed in the NBA's Eastern Conference, which would make them playoff bound. If the NBA playoffs were held today, the Nets would be playing the Indiana Pacers in the first round of the NBA playoffs. Not my favorite choice, I think they would have a better chance emerging from the first round if they were to play the Philadelphia 76ers. Just saying. Die-hard Nets fans know that 2014 was the last time the Brooklyn Nets were in the NBA Playoffs. They also know during the Nets’ “Dark Ages” starting with the 2014-15 NBA season through 2017-18, that if the Nets got behind by more than 10 points, most likely, it would be a wrap because they lacked the strategic basketball acumen to climb back to the top. In many cases, the individual talent was there but collectively, they just didn’t know how to mix all of the strategic elements to survive as winners. And, last night, it was if someone hit a switch and pulled them out of a losing trance. Perhaps, it’s the influence of the respected new veteran players, or, hungrier new younger players, their own growth and maturity as a team, listening to the coaches, or, just tired of losing, or, any combination of the listed reasons and more. But somehow, last night, the Nets figured out a way to climb out of a 20-point deficit to win by 16 points. Nets guard Joe Harris also chimed in on how this comeback showed the maturity and growth of the team. What’s really amazing is that the Brooklyn Nets have found their way to win even without Caris LeVert, who was scoring 18 points per game and seemed destined to be the team’s rising star before his injury on November 12, 2018, when the Nets were playing the Minnesota Timberwolves. So, right now, we are witnessing “next man up” in action. Obviously, Atlanta Hawks head coach Lloyd Pierce was disappointed in the game’s outcome and he pinpoints where things went awry for his team. Nets starting point guard, D’Angelo Russell, scored a team-high 23 points (11-of-20 FG) with three rebounds, four assists, and one steal in 26 minutes. 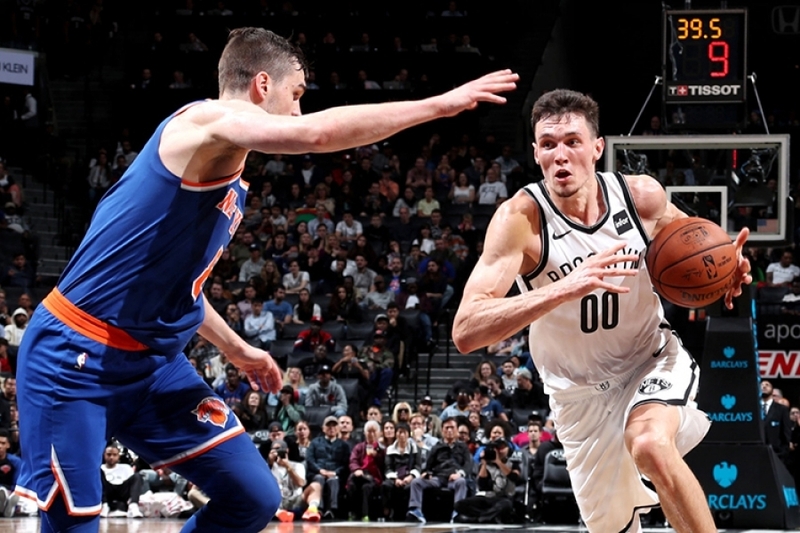 Joe Harris registered 16 points and eight rebounds, and; Rodions Kurucs and Jarrett Allen, also starters, each contributed 11 points, Allen added five rebounds, while Kurucs, a rookie, added four rebounds. Brooklyn’s bench outscored the Hawks’ reserves 55-31, led by DeMarre Carroll’s 17 points and four rebounds; Spencer Dinwiddie added 16 points, five assists, four rebounds, and two steals, and; Shabazz Napier chipped in 11 points, and three rebounds, assists, and steals respectively. Veteran player, Ed Davis, who Nets center Jarrett Allen credits with helping him to up his game, crashed the boards with 16 rebounds to go along with his eight points. John Collins led the Atlanta Hawks and all scorers in points last night against the Brooklyn Nets with 30 points and 14 rebounds; Trae Young registered 17 points and seven assists, and; Kevin Huerter rounded out the Hawks starters in double digits with 14points, 10 rebounds, and three assists. The Hawks’ bench players in double digits were Jeremy Lin with 16 points, five rebounds, three assists, and three steals, and; Alex Len who contributed 10 points, and four assists. 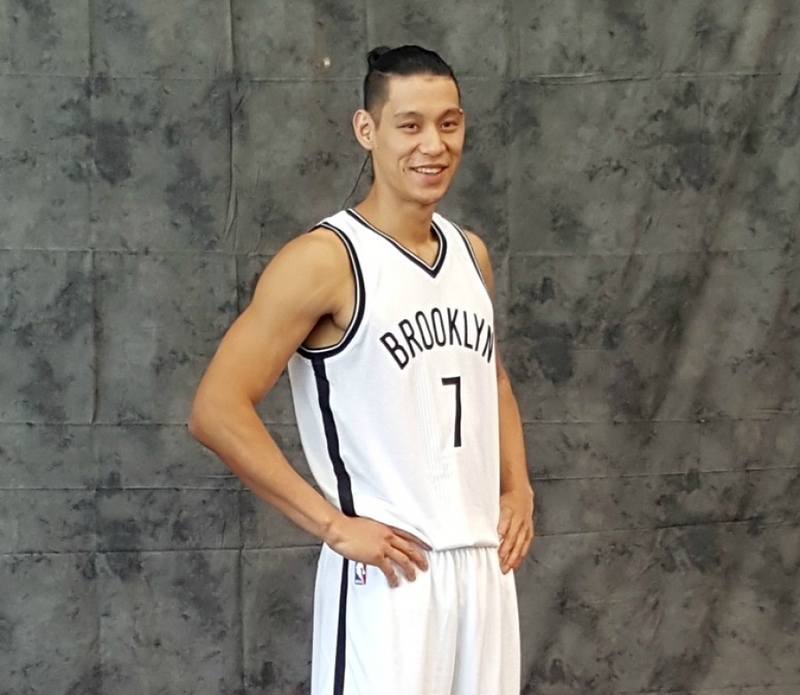 This is Jeremy Lin’s second time at the Barclays Center since being traded from the Nets to the Atlanta Hawks. 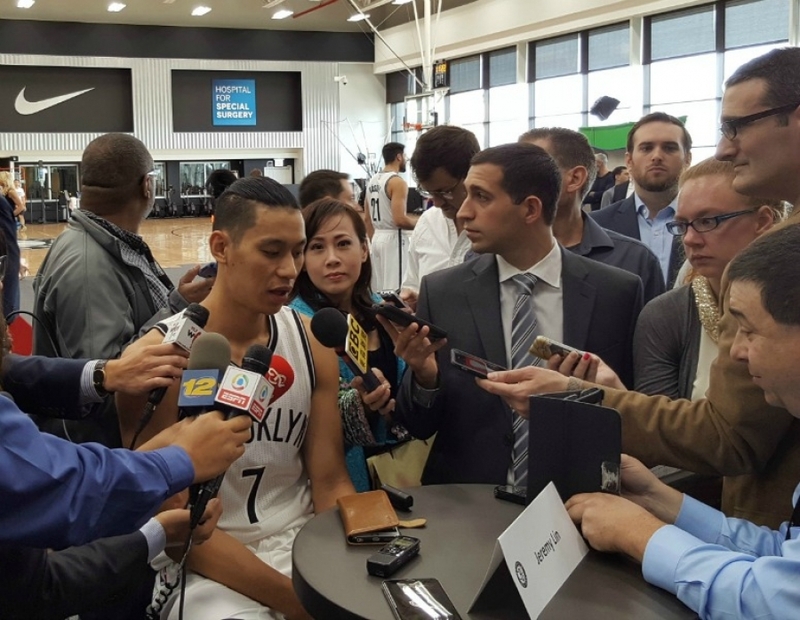 Lin was plagued with injuries the two seasons he was on the Nets roster. 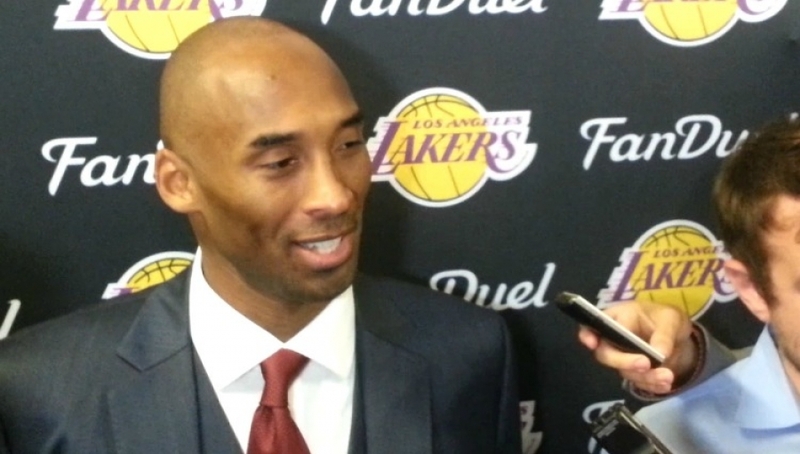 He spoke with reporters about how feels about his game right now. Veteran NBA player Vince Carter who was a Net from 2004 -2009, when the team was in New Jersey, received a video tribute to commemorate his 21st year in the NBA, as he had the night before in Toronto. No one really knows if this is Carter’s last season in the NBA, however, Carter was grateful. And, what’s up for the Atlanta Hawks’ immediate future, the Philadelphia 76ers. Yes, the Hawks will travel to Philadelphia to play the 76ers tomorrow, Friday, January 11, 2019, at 7:00 p.m. Meanwhile, the Brooklyn Nets will have their own test as they travel to another country to face the Toronto Raptors, the team with the most wins in the NBA at 31, also on Friday, January 11, 2019, at 7:30 p.m. ET. The Nets then play the Boston Celtics at home at the Barclays Center on Monday, January 14, 2019, at 7:30 p.m. ET. For the Brooklyn Nets, the end to the long drought of wins came yesterday against the No. 1 team in the NBA, the Toronto Raptors. It took an overtime session to clinch the win, a third overtime game this season for the Nets by the way, but the Nets beat the Raptors 106-105. This win, took down a number of demons, the first of which, the Nets ended a 12-game losing streak against the Raptors and the team’s season-worst eight-game losing streak. The win improved Brooklyn’s overall win-loss record so far this season to 9-18, and 4-10 at the Barclays Center. 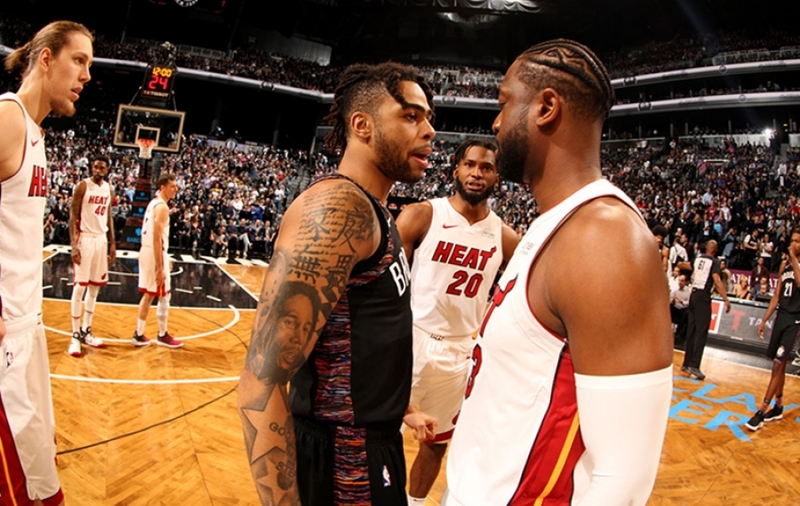 The last time the Brooklyn Nets won a game this season was way back on November 20, 2018, against the Miami Heat on the road in Miami. The journey to get here was a bit tumultuous, as Brooklyn led so many games in the closing minutes only to drop the ball and allow the other team to win. Watching them give up double-digit leads and lose games in the closing minutes this season, gave many the feeling that perhaps, the team felt they were not worthy of winning. However, Friday night, Brooklyn pushed that monkey off its back and was justly rewarded by the basketball gods. Beating the Raptors should be a sign that this is a win they can build upon. And, don’t cry for the Raptors, they still hold the best record in the NBA. Harris also felt this Nets win against the Toronto Raptors is better than other wins this season because the Raptors are number one in the league. 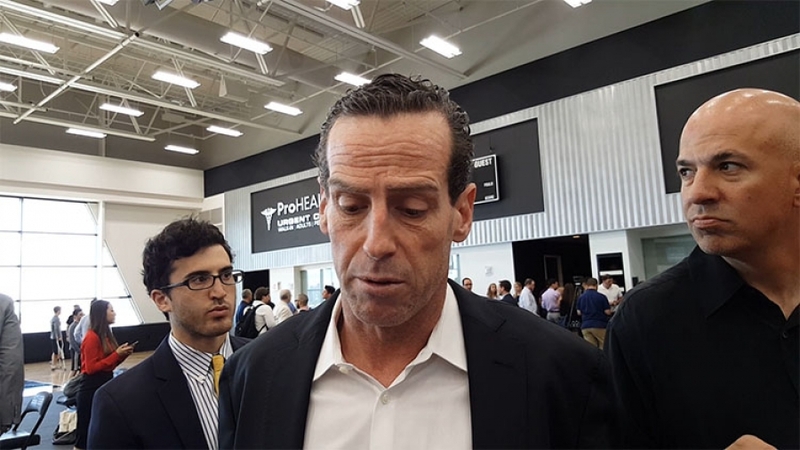 To say that Nets head coach Kenny Atkinson was elated with this win would be an understatement. Leading the way in points for the Brooklyn Nets were D’Angelo Russell with a team-high 29 points, five rebounds, and five assists. Spencer Dinwiddie came off the bench and registered 17 points and eight assists; Jarrett Allen scored a double-double with 12 points and 10 rebounds, and added two steals and two blocked shots; both Rondae Hollis-Jefferson and Allen Crabbe tallied 11 points and four rebounds, while DeMarre Carroll chipped in 10 points and eight rebounds. Nets forward Ed Davis led the way in rebounding with 15 rebounds, of which 13 were defensive rebounds. Kawhi Leonard led all scorers with 32 points for the Raptors; teammates Jonas Valanciunas added 24 points and eight rebounds, while Pascal Siakam contributed 16 points, six rebounds, and two blocked shots. Toronto returns home to host the Milwaukee Bucks tomorrow, Sunday, December 9, 2018, at 6 p.m. ET. Meanwhile, the Nets will travel across the East River to Manhattan to play the New York Knicks at Madison Square Garden tonight, Saturday, December 8, 2018, at 7:30 p.m.
Can the Nets make it a two-game winning streak? On Wednesday night, the Brooklyn Nets held a 23-point lead against the Oklahoma City Thunder late (4:21) in the third quarter. And, things quickly began to unravel. Paul George became a one-man wrecking crew in the fourth quarter busting holes in the Nets sizeable lead to help the Thunder win 114-112. In the loss, the Nets fell to 8-18 overall and 3-10 at Barclays Center, while the Thunder improved to 16-7 overall and 6-4 on the road with the win. Prior to being outscored 39-19 by the Thunder in last night’s fourth quarter, Brooklyn seemed to be clicking on all cylinders. Allen Crabbe led the Nets 22 points (7-of-13 3FG) alongside four rebounds, two assists and one steal in 37 minutes tonight. Joe Harris, who returned to the starting lineup for this game, after missing the last three games due to left adductor tightness, tallied 19 points (6-of-12 FG, 3-of-4 3FG, 4-of-5 FT), a season-high seven rebounds and two assists in 34 minutes. D’Angelo Russell, also one of the Nets starters, scored 17 points and four assists; and Jarrett Allen, the Nets second-year center, registered 15 points, eight rebounds, and four assists. Not to be outdone, the Nets’ bench outscored the Thunder’s bench 37-18 tonight, led by Spencer Dinwiddie with 17 points, and; DeMarre Carroll with 12 points. Paul George led the Oklahoma City Thunder scoring leaders with 47 points, 15 rebound, and four assists. George scored 25 points in the fourth quarter alone. Russell Westbrook grabbed a triple-double with 21 points, 15 rebounds, and 17 assists; Steven Adams registered 15 points and eight rebounds, and; Dennis Schroder scored 12 points off the bench. Next up for the Oklahoma City Thunder will be the Chicago Bulls on Friday, December 7, 2018, in Chicago at 7:00 p.m. CT. The Nets will host the Toronto Raptors tomorrow, Friday, December 7, 2018, at home at the Barclays Center at 7:30 p.m. The Toronto Raptors helped the Brooklyn Nets christen the Barclays Center when they faced each other to open up the 2012-2013 season. The Nets came away with the 107-100 victory, which started the Nets on an 11-4 record (franchise best for wins in a month) and yielded a coach of the month award for Nets former head coach Avery Johnson. December became a month to forget as Brooklyn would lose 11 of 16 games costing Coach Johnson his job. Since then, interim head coach PJ Carlesimo has taken advantage of a schedule that had the Nets playing only 2 teams (Oklahoma and Indiana) with winning records during their six-game winning streak. Brooklyn looked to stay perfect against the Raptors. Why not, the team has already beaten the Raptors twice this season; once at home and one on the road. Tonight Brooklyn played host for the last time against a Toronto team who were once again playing without its forward Andre Bargnani out with a right elbow/wrist injury. After a slow start in which the teams were tied after the first quarter at 27, Toronto went up by as many as 10 points (40-30) before Brooklyn outscored the Raptors 16-10 aided by Mirza Teletovic coming off the bench and hitting 2 straight 3-pointers giving the Nets a 54-50 halftime lead. Said Raptors head coach Dwane Casey of Teletovic, "he came in and opened up the game. We lost him in transition a couple of times and he's too great of a shooter to have miscommunication." Brook Lopez led all scorers with 14 first-half points with Deron Williams chipping in 12. Toronto continued to play Brooklyn tough through most of the third quarter (66-65) when Williams, Joe Johnson and Keith Bogans nailed trifectas sandwiched around two Lopez free throws extending the lead to 77-68. Said Lopez, "that has kind of been the story for us the past few games; the second halves are really where we bring the energy." The momentum carried over to the final quarter as the Nets came out on a 10-2 run opening up a 15-point lead (93-78) with a little more than eight minutes to go in the game. Brooklyn kept a double-digit lead for the next 6 1/2 minutes paced by Williams, Lopez and Joe Johnson who all scored more than 20 points. It sealed their 7th straight win 113-106, as they get set to play back to back games against the Atlanta Hawks beginning Wednesday night on the road. The Hawks scored a pathetic 5 points in the second quarter in their loss to the Bulls Tuesday night. Brooklyn can't help but think they can extend their winning streak to 9 games. In this episode of What's The 411Sports, Keisha Wilson and Mike McDonald are talking about the NFL's lack of leadership; the Kawhi Leonard and DeMar DeRozan trade; Carmelo Anthony leaving the Hawks and the Rockets is his predicted landing spot; Tiger Woods had a great comeback at the British Open; the fallout from the Brooklyn Nets trading Jeremy Lin; and the mess that is the NY Mets.with drama coming from Yoenis Cespedes, and the head, foot, and mouth disease contracted by pitcher Noah Syndergaard, which has many people scratching their heads. © 1993 - 2018 What's The 411 Networks, Inc. All Rights Reserved.